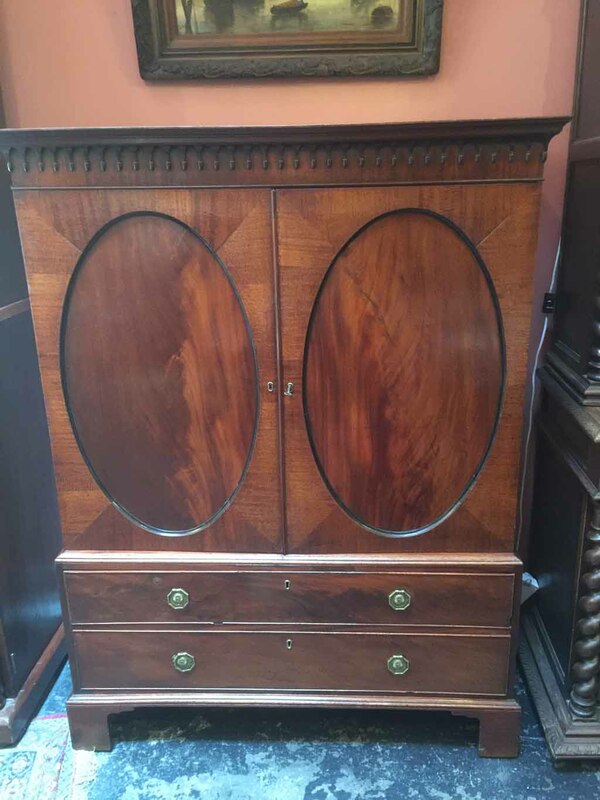 Antique George 111 mahogany linen press of unusually smaller size. Pleasing acorn decorated cornice above oval panelled doors featuring solid flame mahogany. 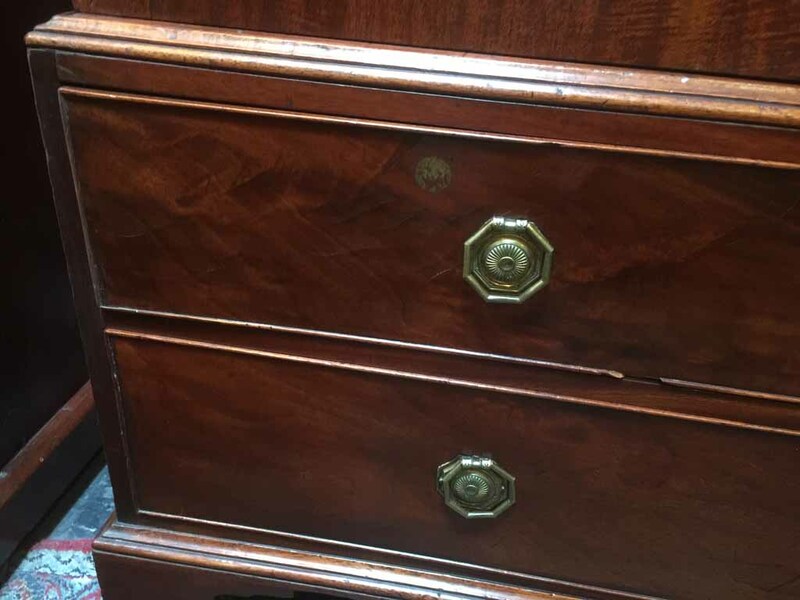 Two full length drawers to base with bracket feet. Original fittings including four full length drawers behind top doors. A top quality piece of antique furniture with guild stamp.